John Buchan wrote "The Thirty-Nine Steps" while he was seriously ill at the beginning of World War I. In it, he introduces his most famous hero, Richard Hannay, who, despite claiming to be an "ordinary fellow", is caught up in the dramatic race against a plot to devastate the British war effort. 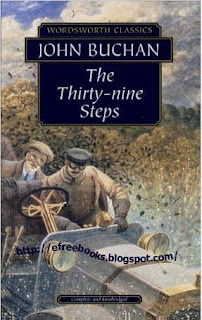 Hannay is hunted across the Scottish moors by police and a pitiless enemy in the corridors of Whitehall and, finally, at the site of th mysterious 39 steps. The best-known of Buchan's thrillers, this novel has been continuously in print since first publication and has been filmed three times. In this critical edition, Christopher Harvie's introduction interweaves the writing of the tale with the story of how John Buchan, publisher and lawyer, came in from the cold and, via "The Thirty-Nine Steps", ended the war as spymaster and propaganda chief. Other Buchan "World Classics" include "Witchwood" and "Greenmantle". --This text refers to an out of print or unavailable edition of this title.